We all know that the used shipping wood pallet is surely one if the most friendly materials which can cope with lots of DIY projects. You can turn it into furniture, décor items, and other stuff. 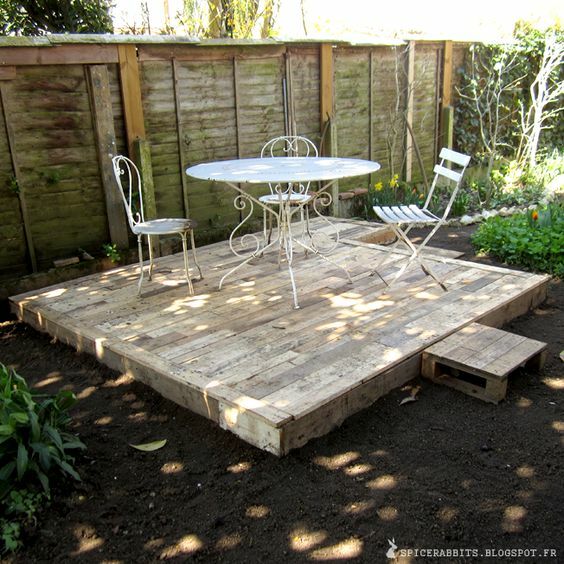 When it comes to the outdoor space, the wood pallet can be the main material to make some additions to it. 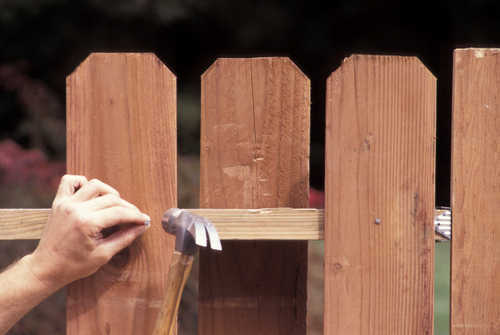 Fence, for instance, you can build an adorable and reliable fence by using wood pallet easily and cheaply. 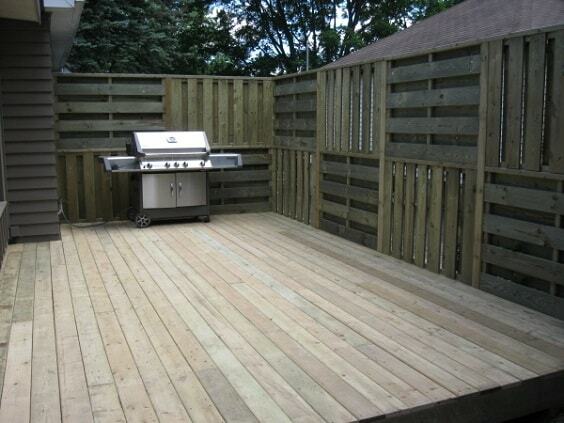 There are many homeowners who have successfully made the garden fence made of the wood shipping pallet. 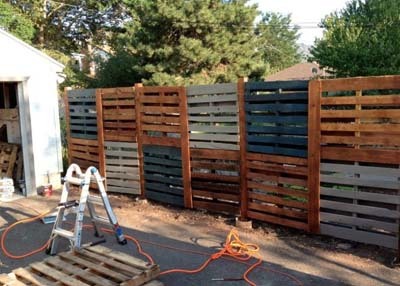 They can provide the great safety and security by installing the pallet garden fence in their backyard without forgetting the aesthetic element. So here, we have picked some best pallet garden fence ideas which are so inspiring to copy. 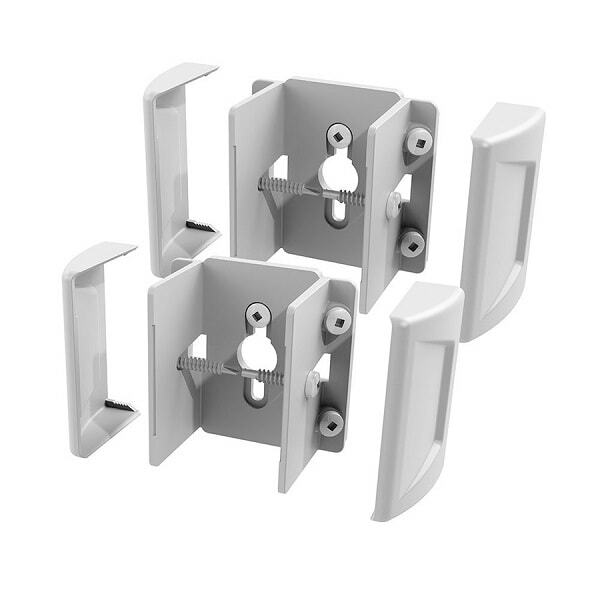 You can make them as the ultimate reference when you want to enhance the comfort and beauty of your outdoor space in a simpler and cheaper way. 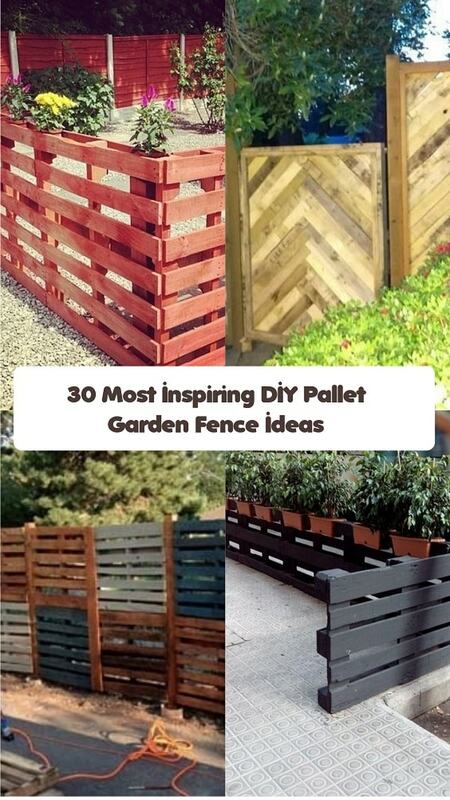 Well, let’s just keep scrolling to check put best picks of DIY pallet garden fence ideas! The simple pallet garden fence which looks so adorable when it blends with the natural outdoor surrounding. 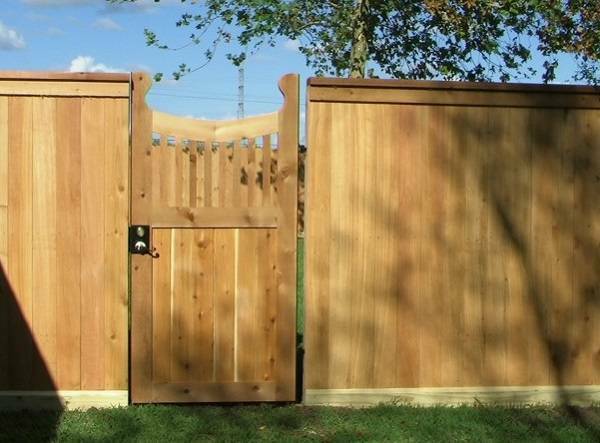 For a more convenient use, a gate completes the fence perfectly. If you are looking for a pallet garden fence which works to beautify your beloved home, this one can be a good inspiration to try. 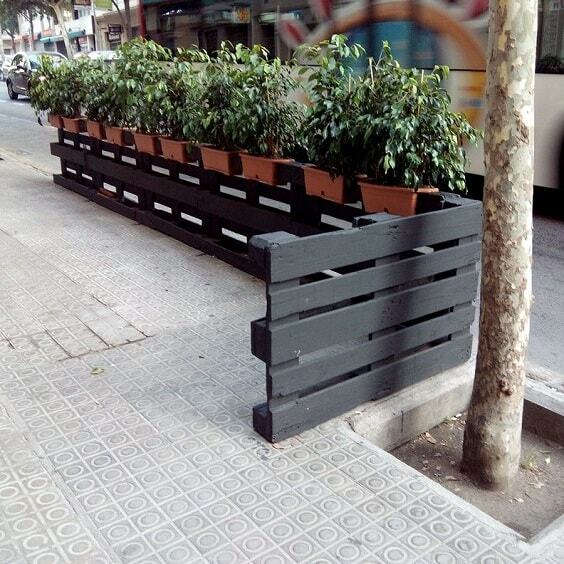 It’s a simple mini fence in a black finish which is beautified by the planters as its topper. Adding a rustic touch to your outdoor living space is never a bad idea to try, and this pallet garden fence will give such touch gorgeously. 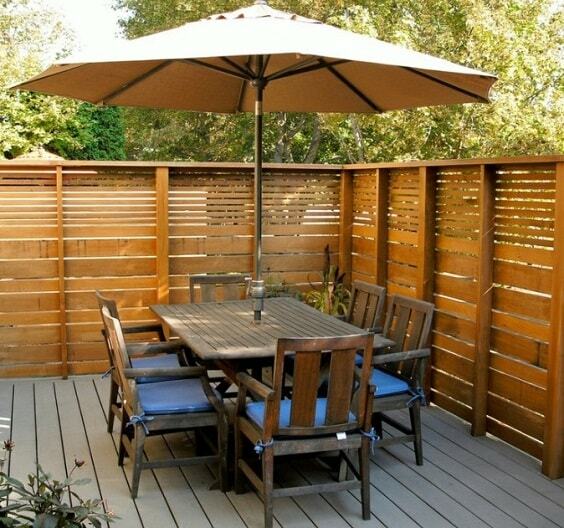 Then, the design of the fence surely provides the great privacy which makes the patio feels more comfortable to enjoy. With such design, this wood pallet garden fence will give you a cozy privacy while still allows the sightseeing to the outdoor surrounding. 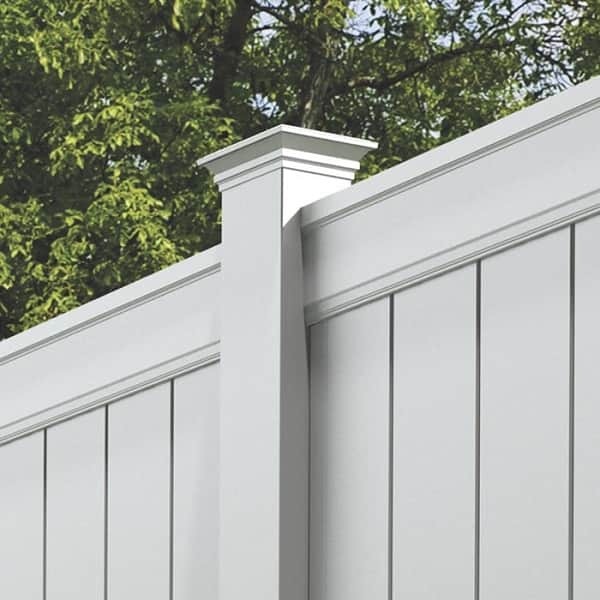 Its natural finish is enough to make the fence looks so beautiful. 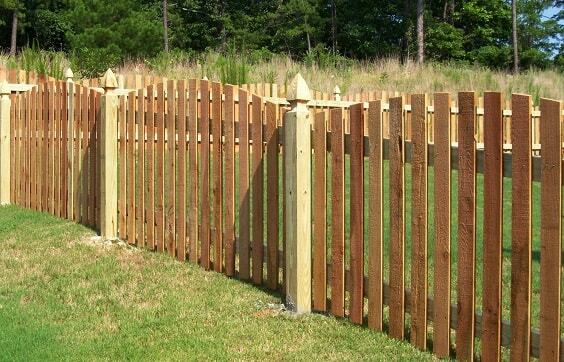 The catchy pallet garden fence in a redwood finish which will surely make your backyard look way more attractive. 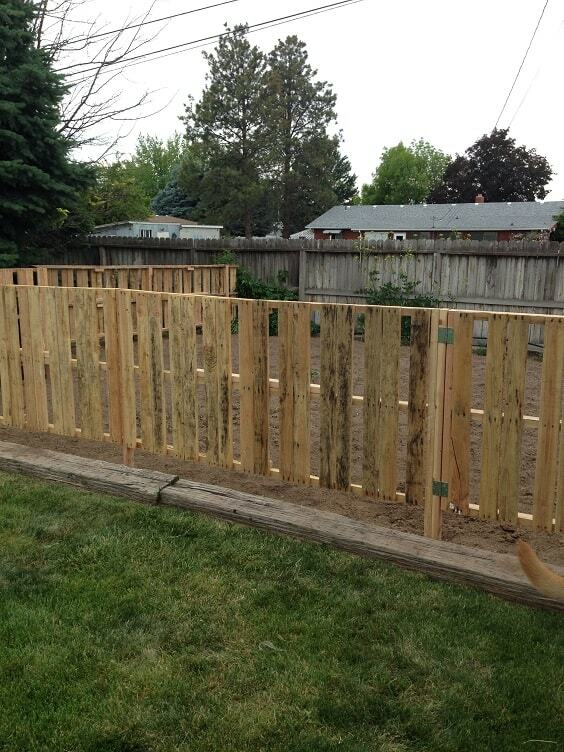 Moreover, the top of the fence is made as the planter to refresh the look of the fence. Another admirable pallet garden fence to decorate your outdoor living fence, and this one is designed in a classic picket style. Furthermore, the flower bed in front of the fence makes it look more attractive. 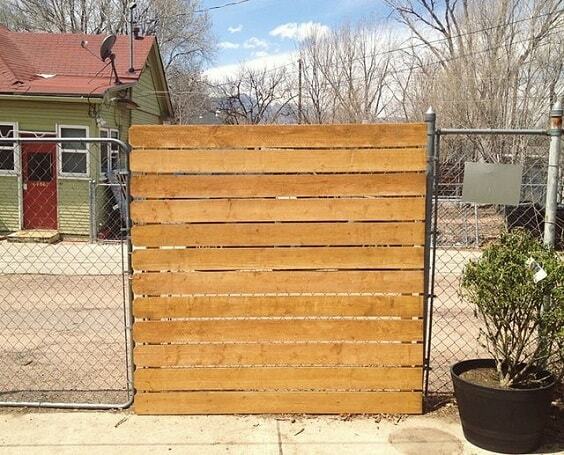 This one is a full-privacy fence which is simply made if some uncut large wood shipping pallet. 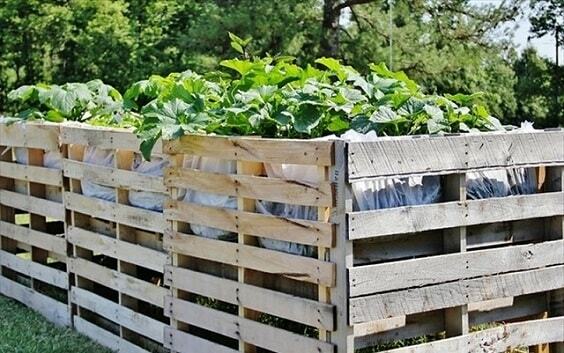 You just need to stack some pallets in such arrangement and the fence is ready to enjoy. 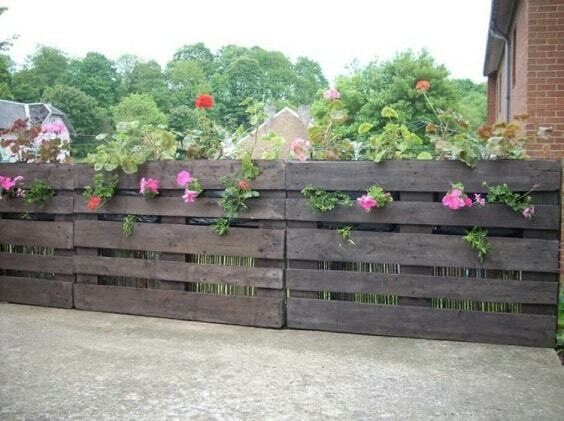 If you are looking for a more decorative pallet garden fence, this one should be added to your inspiration list. 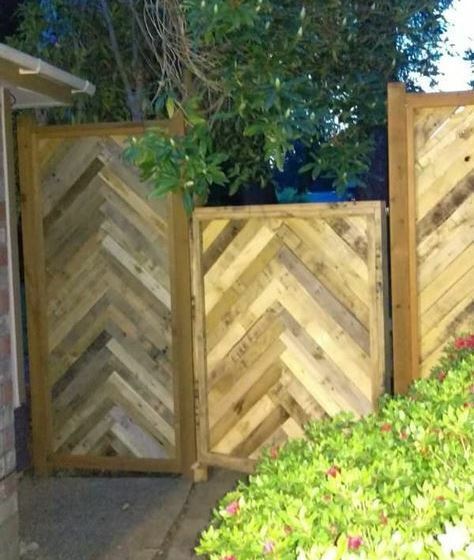 The wood slates which are taken from the cut pallet are arranged in a chevron pattern which makes the fence look naturally decorative. 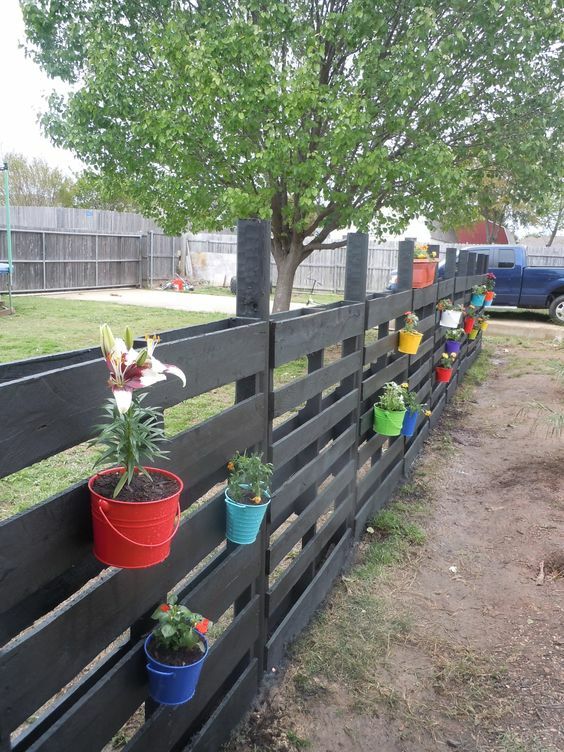 The chic pallet garden fence in a black finish with some colorful buckets colorize it uniquely. The buckets work as the planters which make the fence blends beautifully with the garden. 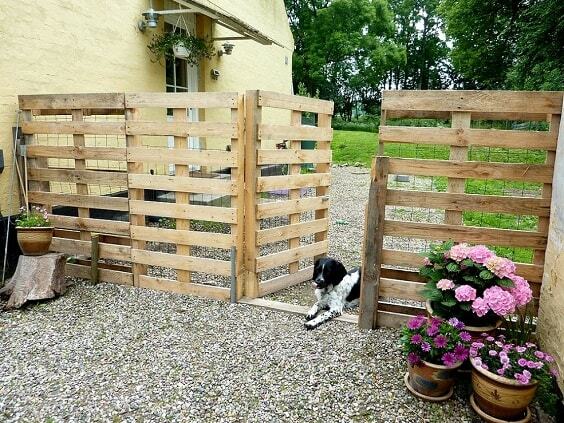 You may need lots of wood pallets to create this kind of fence, but it’s totally worth it. It’s a very mesmerizing pallet garden fence with the unique curvy design that will bring the style of your home to a whole new level. Another pallet garden fence in picket style, but this one is built in a much taller height to provide the better privacy and security. The design is still so classic with the gothic top which looks so adorable. Making the top of a pallet garden fence as the planter is always an easy and simple way to make it look more beautiful and functional. Here, the top is used as the bed to plant some herbs. 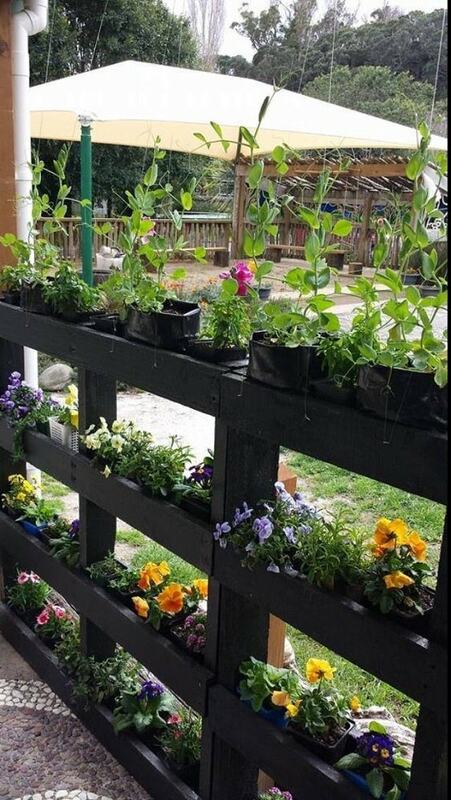 The freshly gorgeous pallet garden fence which is fully decorated with some greeneries and flowers. 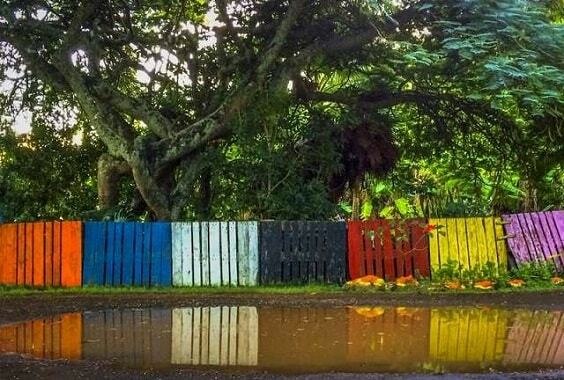 It’s such a good inspiration to make a pallet fence look more colorful in a very natural way. 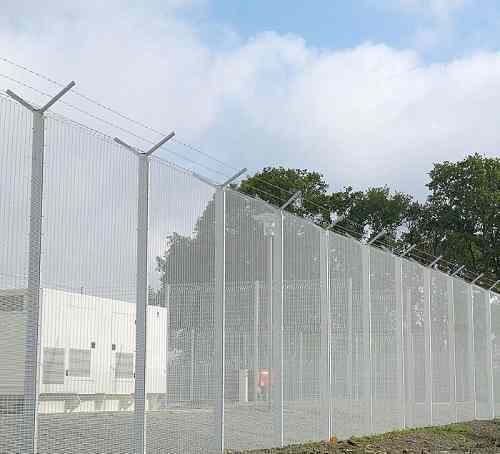 This kind of fence will surely become the main focal point of your outdoor space. It’s designed in a leveling style with some planters decorate it wonderfully. 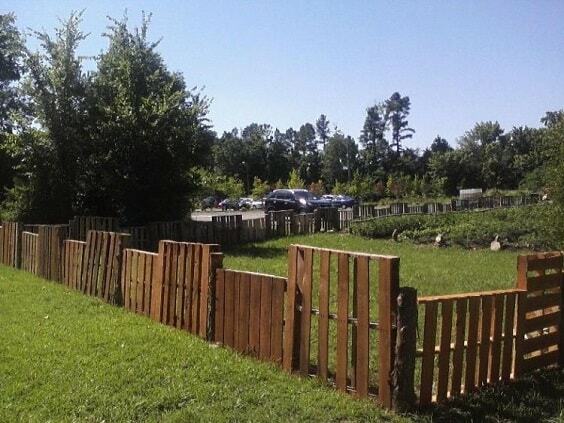 The distinctively catchy pallet garden fence which is combined with the metal sheet. It will totally become the surprise addition to your outdoor space. 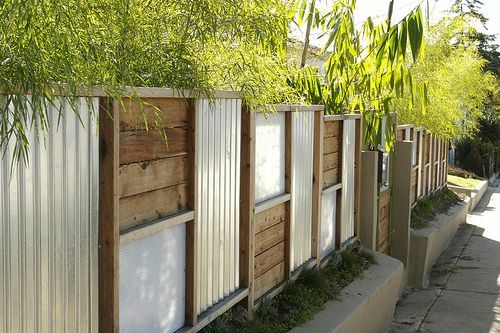 The dazzling white pallet garden fence which is decorated with lots of greeneries. Its design will give a refreshing element which makes your backyard look and feel way more inviting. This one can be a piece-of-cake pallet garden fence which you have to include in your DIY home improvement plan. 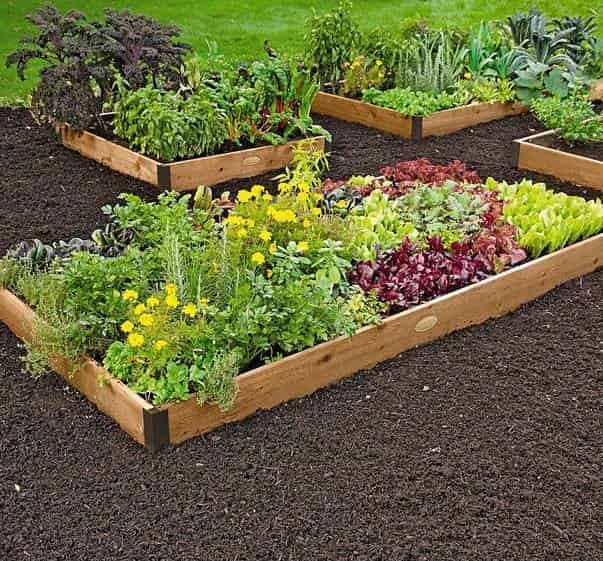 It’s simply made of some uncut pallets in an easy arrangement which is perfect to create the border in your outdoor space. It’s basically a pallet garden fence which is also made for the planter, but with various plantations on, the fence looks more distinctive. 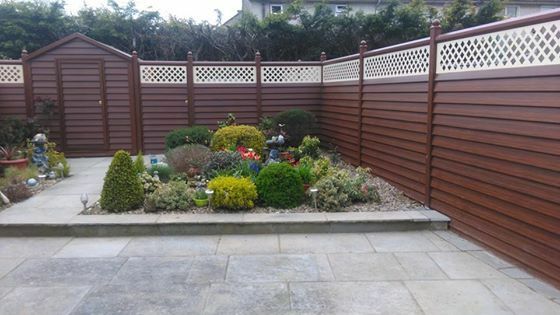 The design of the fence makes it a good inspiration for you who want to add something rustic to your garden. 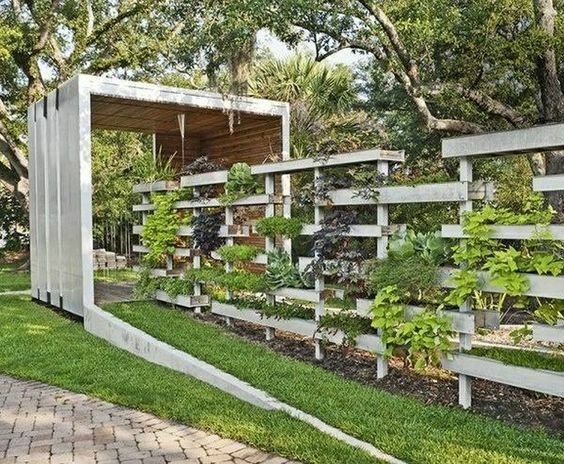 In this idea, the pallet is actually used just as an addition to a chain link fence to enhance its beauty and provide the better privacy. 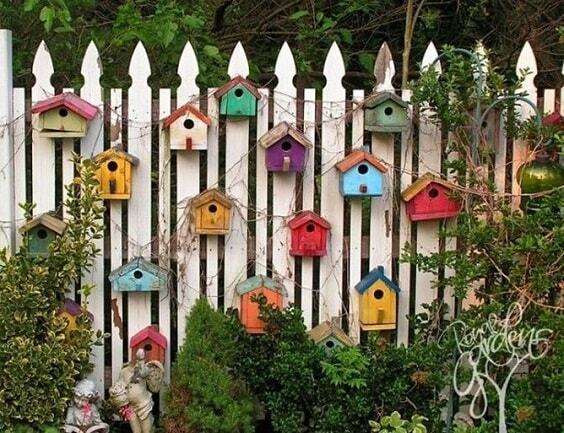 You cause this easy way to decorate your chain link fence. 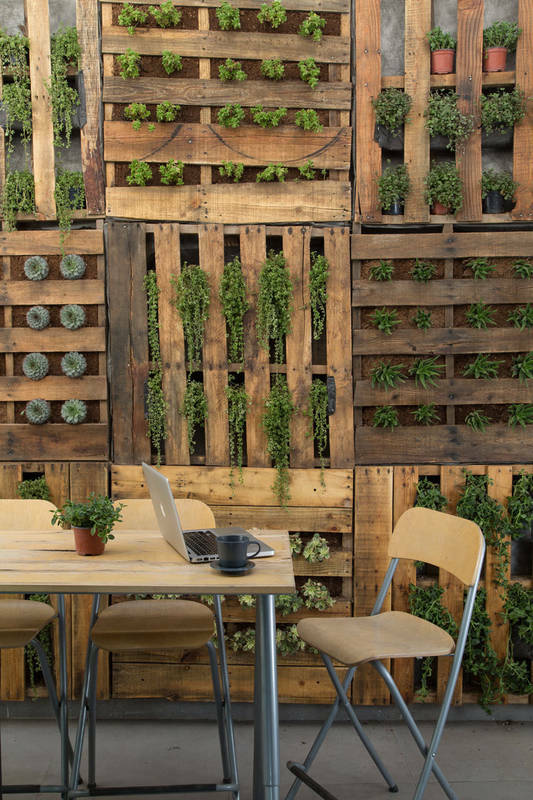 The superbly rustic pallet garden fence with the unique painting which makes it look catchier. Then, some flowers also decorate the fence tops gorgeously. 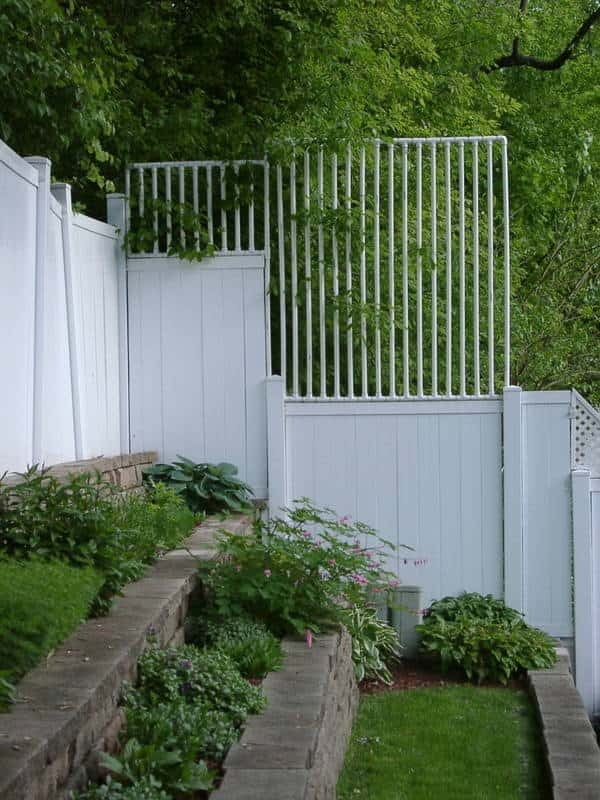 Looking for a super fun fence to cheer up your outdoor living space? Well, this idea is the one that you can’t miss. It’s a simple pallet garden fence with various vibrant finishes which look so colorful. 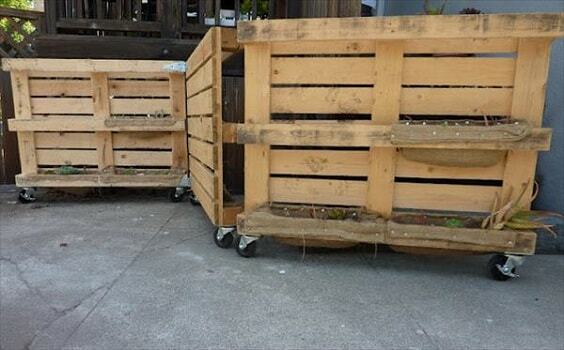 Installing the caster wheels to a pallet garden fence can be a good idea when you want to have a temporary fence. It’s very easy to move anywhere as you wish conveniently. 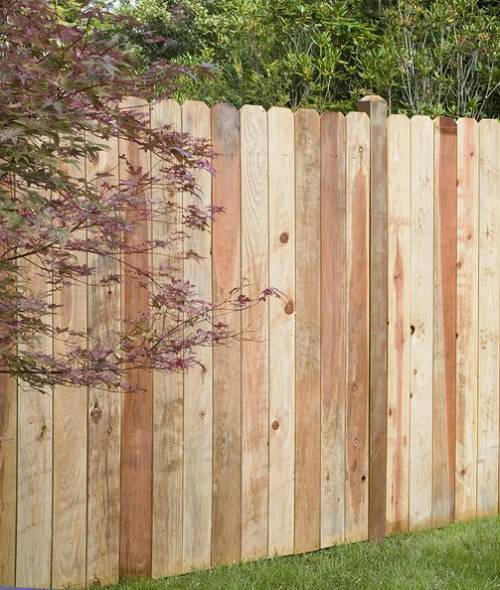 The admirable pallet garden fence in the redwood finish with the planters that you will love. It’s designed in a very simple style which makes it quite easy to build by yourself. 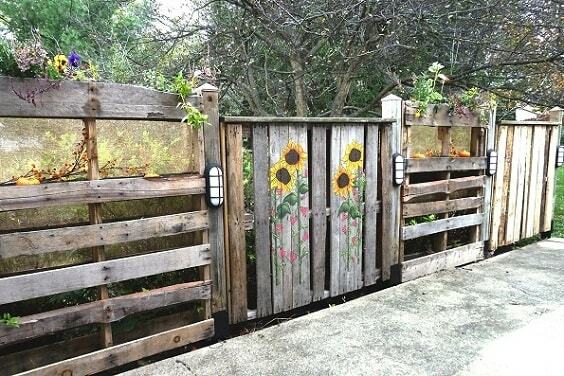 The cute decoration of this pallet garden fence will make your outdoor fence look so fun. It’s finished in white which makes the décor items popped up perfectly. 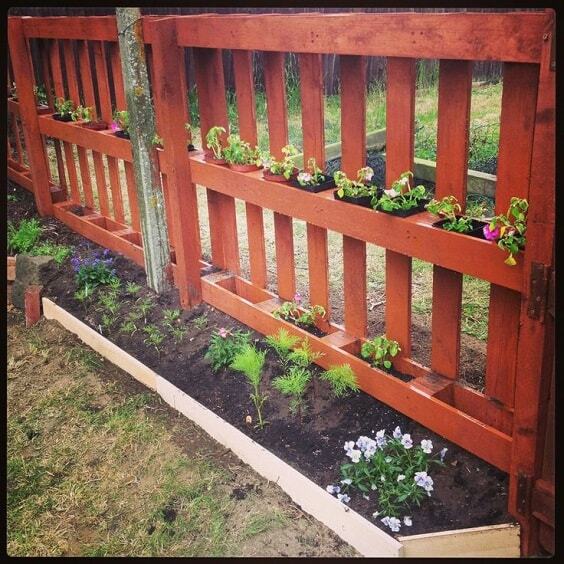 The stunning pallet garden fence in the natural brown finish which is colorized beautifully with some colorful flowers. 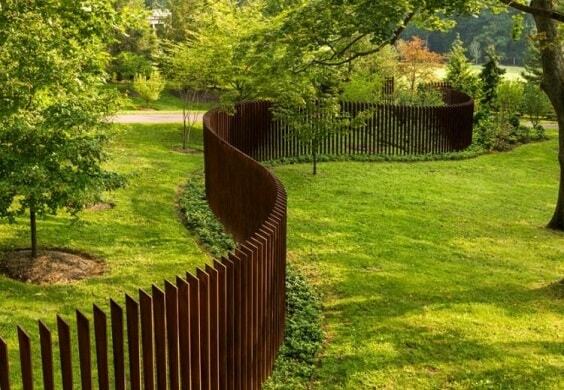 Moreover, such combination creates a gorgeous fence which will style up your backyard in a chic earthy way. Another great inspiration for a pallet garden fence to provide full privacy in your outdoor space, and this one comes in a mesmerizing weathered look. 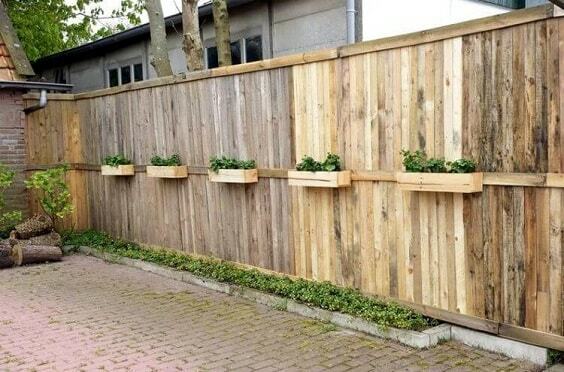 Then, some wooden planters are installed to beautify the overall look of the fence. 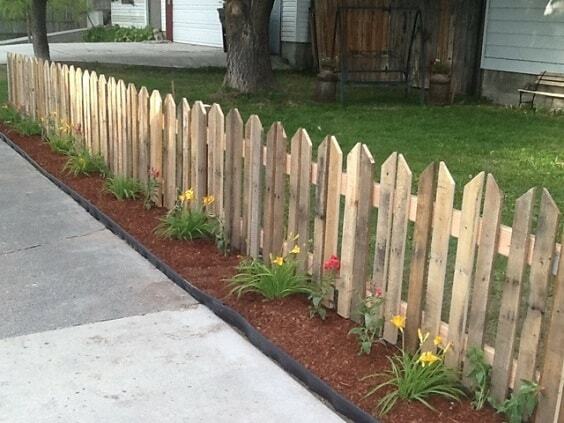 Yeap, it’s actually a pallet fence with the garden topper which can be a nice addition to your backyard. 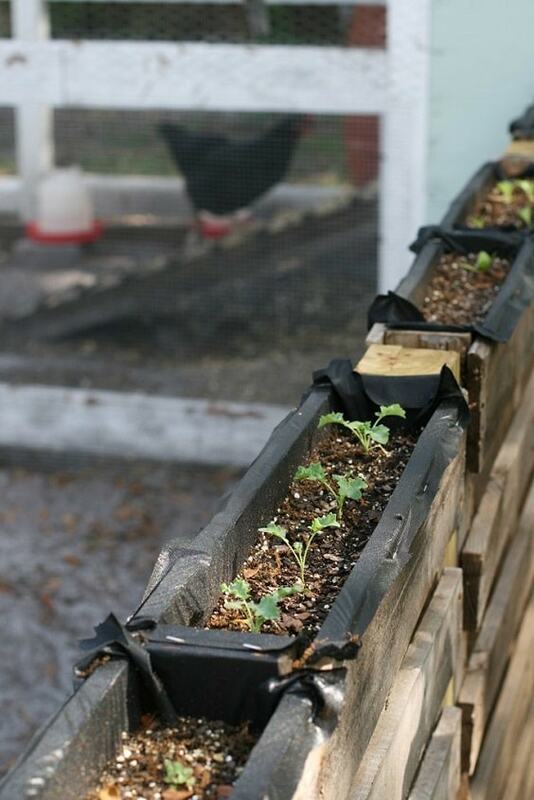 You can always plant almost everything on the top of a pallet garden fence. Green can be a good alternative (besides brown) if you are looking for a color option which will match well with the outdoor environment. This one is a simple fence which is finished in the soft green that you can easily try to copy. The weathered pallet garden fence which looks uniquely rustic. 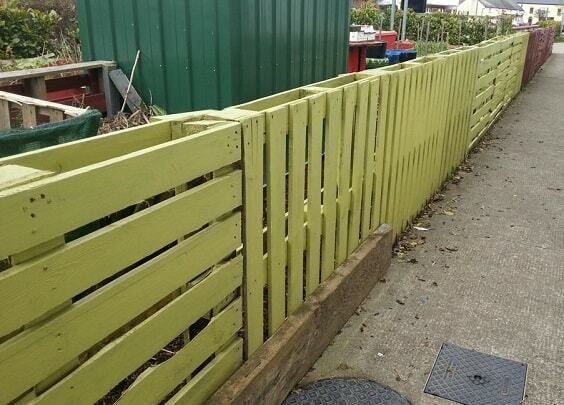 It’s one of the pallet fence ideas which is so easy and simple to build without costing you a lot. The color combination of this pallet garden fence totally looks so stylish. 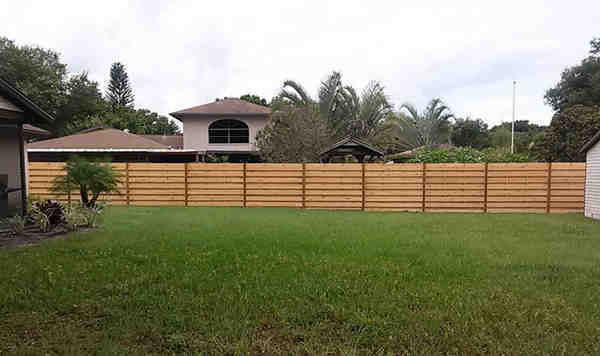 You can copy the style of the fence which will definitely enhance the attractiveness of your backyard. Eventually, those are some inspiring pallet garden ideas which are totally worth to include in your home improvement plan this summer. They look so beautiful to enhance the beauty of your outdoor living space and also reliable enough to add some privacy around. 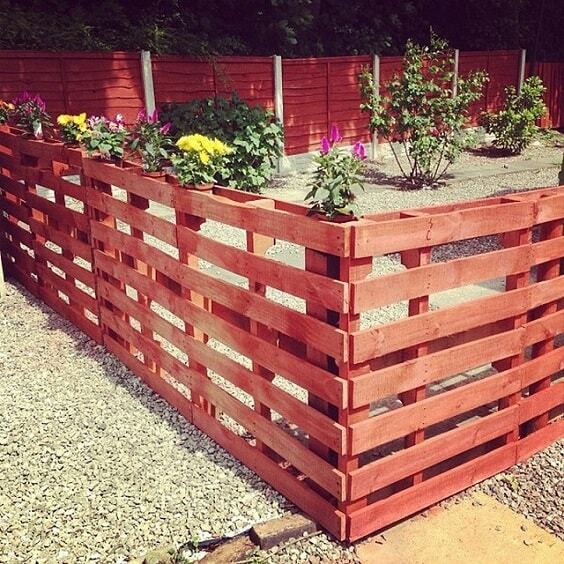 You can choose the best pallet garden fence design which suits your needs and taste. 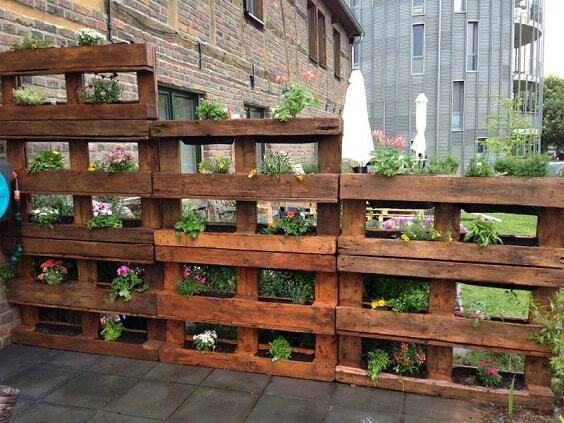 Whether you just need a pallet garden fence which works just to decorate your house or secure it as well. The pallet garden fence is always the best option when you have a limited budget but still want to add some improvements to your house. The wood pallet is such an easy and cheap material that you can turn into lots of surprising things to make your house feels more comfortable to live in.